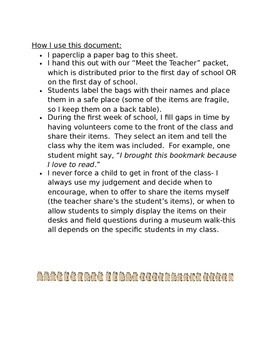 This is a great beginning of the year activity for getting to know your students. 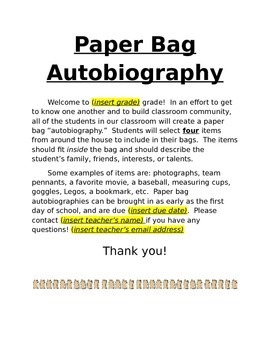 Students follow instructions to create a paper bag autobiography, that is a paper bag filled with items which tell about the student's lives/interests. 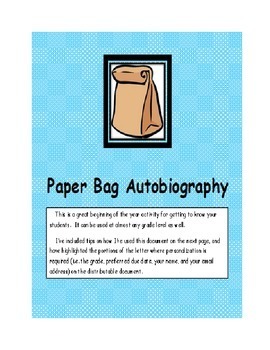 It can be used at almost any grade level as well.